The Results are in for our 2011 restaurant of the year. Voting commenced from the 20th December 2011 and closed on the 4th February 2012. We had over 100 votes cast from our readers who were given a choice of 7 restaurants and you’ve given us your verdict! Congratulations to Mughal E Azam for getting 29.21% of the vote and being crowned our readers choice for 2011. A special mention to our runner up the Chicago Gourmet Burger Company. Inshallah all our nominations in this category will go from strength to strength and continue to offer halal diners a wonderful experience throughout 2012. 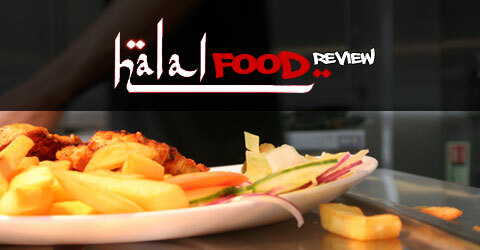 After a longer than anticipated break we’re back with two halal food reviews for one. I’ve spent the last month reviewing arts assessments and its good to be back to reviewing food. Chinese is the new Indian well at least thats the case when it comes to Halal food in Birmingham, we’ve already reviewed Oodles n Noodles and today we review Chop & Wok a fantastic new concept with two outlets in the city. Both Chop & Wok restaurants in Birmingham primarily service takeaway orders, the Suffolk Street branch has very limited seating with the Cannon Street branch having a more dedicated albeit tiny seating area upstairs. For the purpose of this review we’re looking at the Cannon Street branch. Chop & Wok offers a simple menu concept offering diners a choice of either salads or wraps or a comprehensive range of stir fry options. The dining menu is perfect for lunch times and a post work pick me up! In terms of decor the Cannon Street outlet is beautifully designed, the concept is fantastic with pod style seating upstairs giving you a bird’s eye view of your stir frys sizzle and cook. My only criticism is that Chop & Wok have picked such a small outlet for their central branch. From a design and aesthetic perspective the branding, colour schemes and urban feel are a super smash hit. The owners have paid real attention to detail and I’d love to see the template used on Cannon Street rolled out to a larger establishment. Chop & Wok brings power to the diner and creates a uniquely individual dish to suit the taste of each customer. For the stir fry menu diners are offered a range of options including noodles, rice and vermicelli as bases for the stir fry. This is then complimented by a choice of meaty extras including chicken breast, beef strip steak, tuna, prawns, salmon and duck. Vegetarians are not forgotten with tofu and oriental vegetable options. Next is my favourite part which is adding a unique flavour to your dish drawing inspiration from food capitals of the world including Mumbai, Delhi, Singapore, Kuala Lumpar, Tokyo, Beijing and Hong Kong! The wrap and salad menu follows the same concept with even more varied and rich flavour combinations to choose from! I chose medium egg noodles, chargrill strip steak cooked in Sweet and Sour Hong Kong sauce. There is a range of extras on the menu which allow you to vary your dish further or add a side accompaniment. It was great to watch the food being prepared in front of me as I sat in a slightly space aged pod seat upstairs. The food itself was amazing. The stir fry is served in a paper box which is great from a recycling perspective but can result in the problem of the rich sauces and flavours seeping through to the bottom creating a mini flood of flavour as you reach the end of your dish! My advice after having eaten at Chop & Wok three times is to constantly work your noodles and ingredients to ensure the flavour and sauce works its magic all the way through! The beauty of the concept is you can mix and match a range of ingredients and flavours making each trip to Chop & Wok a new experience for the tastebuds. The stir fry is available for a competitive £5.80 and a special lunchtime offer is also available offering a stir fry, drink and prawn crackers for a competitive £6.00. Service is professional but be warned if you do go in at a busy time be prepared for a wait due to all the dishes being freshly prepared. Chop & Wok also offer a free delivery service for orders over £10 within a two mile radius accessible through a well designed website that can take the stress out of waiting for your fusion of flavours. I would heartily recommend Chop & Wok to anyone looking for an authentic and tasty stir fry experience!